Mr. Sanders founded Sanders Capital, an asset management firm, in November 2009. Mr. Sanders retired as Chairman and CEO of AllianceBernstein in December 2008. He served as AllianceBernstein’s Chairman from January 2005 until December 2008; became CEO in July 2003 and had been Vice Chairman and CIO since October 2000. Before the combination of Alliance Capital and Sanford C. Bernstein & Co., Inc. in October 2000, Mr. Sanders served for seven years as CEO of Bernstein. In his 32 years at Bernstein, he also served as president and chief operating officer, with senior responsibility for all research and investment-management operations (1981–1993); executive vice president (1979–1981); and research director (1972–1981). Mr. Sanders joined Bernstein in 1968 as a research analyst, establishing credentials that would lead to his being named to the Institutional Investor All-America Research team four times. Before joining Bernstein, Mr. Sanders worked at Oppenheimer & Co for two years as a research assistant. He holds a BS in operations research from Columbia University. CFA – Location: New York. 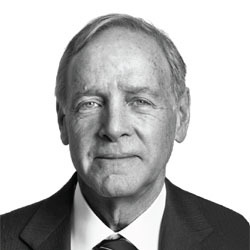 Mr. Sanders serves as a trustee of The Rockefeller University Board; a member of the board of Memorial Sloan-Kettering Cancer Center; a Public Member of the Board of Overseers of the Weill Cornell Medical College and Graduate School of Medical Sciences; a trustee of The Aspen Art Museum; and trustee of The Aspen Institute.